The BRC Flow Core offers a wide range of training classes on a fee for service basis, which are partially open to external customers as well. To run our user-operated platforms you must attend the relevant training session prior to first use. All training sessions can be booked via ilabs and are held on the 15th floor of Guy’s Tower, Guys Hospital, London. If you have further questions please contact us via email at brcflowcore@gstt.nhs.uk. Before attending any of our training classes, you must register with iLabs and send a completed Flow Core Registration Form (23kb) to BRCFlowCore@gstt.nhs.uk. 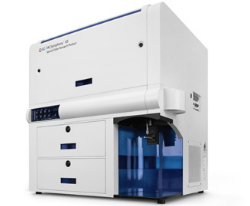 Basic training is mandatory for all new users wishing to access the BD analysers (CANTO/Fortessa/Symphony). The session consists of an introduction to flow cytometry theory, including basics of compensation, panel design and sample preparation, followed by a practical hands on training session on the instruments. Classes will be held on a Friday once every month from 10.00 to 14.30 (30 minute break – please bring your own lunch) and can accommodate up to eight trainees, slots are assigned on a first come first served basis. ImageStream training is mandatory for all new users wishing to access the BRC ImageStream MKII platform. During the four hour session we will cover the specific technology of the Imagestream, including basics of compensation, panel design and sample preparation, where they differ from traditional flow cytometers, followed by a practical hands on training session on the instrument and first tips on data analysis. This training is for internal users only. It is essential that users have a good grasp of basic flow cytometry before attending this training course, basics will not be covered in this class. We offer ImageStream training on demand. 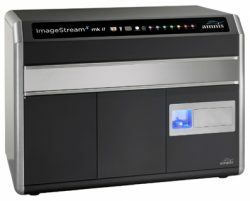 To arrange an ImageStream training session, register with iLabs. Go to “request services”, choose “5.2 ImageStream Training” and submit the completed Flow core registration form to BRCFlowCore@gstt.nhs.uk. Each training session can accommodate up to four trainees. We will get in touch with you to arrange a training date. Luminex training is mandatory for all new users wishing to access the BRC FlexMap3D. Training sessions are arranged on an individual basis, class sizes are limited to six participants. During the two hour training we will cover the theory of a Luminex assay and give detailed instructions on instrument calibration, setup and tips for data analysis. If you have specific questions about your Luminex assay please book a consultation session by emailing us at brcflowcore@gstt.nhs.uk. To arrange a Luminex training session, register with iLabs. Go to “request services”, choose “5.3 Luminex Training” and submit the completed Flow core registration form to BRCFlowCore@gstt.nhs.uk. We will get in touch with you to arrange a training date. This three day mass cytometry training course is aimed at users new to the technology, ideally candidates are planning to start their own project soon after the course. Participants will gain an understanding of the design and experimental workflow, the concepts of functional phenotyping, imaging mass cytometry, user relevant details on instrument operation and tips for analysis of clinical samples through a series of lectures. During the practical session users will produce their own metal conjugated samples and observe their run on the Fluidigm HELIOSTM followed by a full day of high dimensional data analysis training. Internal participants have preferential booking rights on this training course, any slots not filled three weeks before start of the course are then open to external customers as well. To book the mass cytometry short course, register with iLabs. Go to “request services”, choose “5.6 Mass Cytometry Short Course Training” and submit to core. We will get in touch to confirm your training slot. This five-day course is open to internal and external, new and existing mass cytometry users as well as statisticians and bioinformaticians with an interest in data analysis methods for high-dimensional cytometry experiments. The course is composed of a three-day practical module and a two-day data analysis module, that can be booked together or separately. Participants will gain an in depth understanding of the design and experimental workflow, the concepts of functional phenotyping, basics of imaging mass cytometry, user relevant detail on Helios operation, and tips for analysis of clinical samples through a series of lectures. During the practical session users will produce their own metal conjugated antibodies and samples, and observe their run on the Fluidigm HELIOSTM. This will be followed by two full days of high dimensional data analysis training. 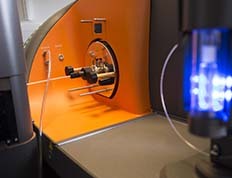 Our third annual mass cytometry course will be held in the week of 18-22 March 2019. Please visit the event page for more details and to register your interest in attending. The one-day course is open to internal and external customers. The training is aimed at users with no or very limited prior FlowJo knowledge and those that know their way around the software but have advanced analysis requirements (large file numbers, complex multicolour panels, special applications. All will benefit from learning the tricks to a more effective use of the software. Users will be provided with example data for analysis while guided by the course providers. Training is done on FlowJo v10. At the end of this course users will be able to import raw flow cytometry data into FlowJo from any platform, annotate and organise files to aid basic analysis, use keywords for organising, analyse and batch medium to large data sets, carry out post-acquisition compensation, generate a statistical and graphical report of the experiment, analyse data from special applications such as proliferation and cell cycle, and generate and understand a spreading matrix. To book FlowJo training, register with iLabs. Go to “request services”, choose “5.4 FlowJo training” and submit to core. External customers must provide a purchase order number covering the course fee in advance to attending the training and email it to Susanne.Heck@gstt.nhs.uk. Each course day can accommodate up to eight trainees. We will get in touch to confirm your training slot. 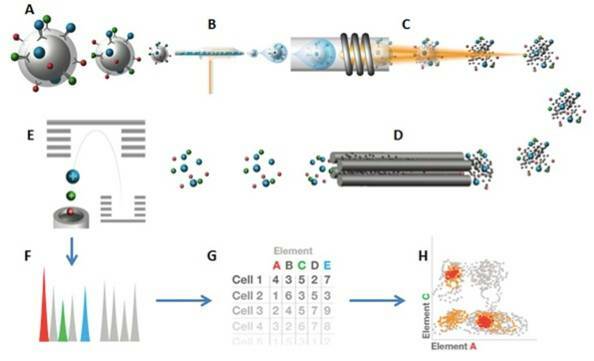 Mass cytometry and high dimensional fluorescent flow cytometry approaches make it necessary to use advanced unsupervised data analysis tools such as viSNE, SPADE, CITRUS, Phenograph and others. The course is aimed at users with no or very limited prior knowledge on high dimensional data analysis and the CytoBank online platform. To book High dimensional data analysis training, register with iLabs. Go to “request services”, choose “5.8 High Dim data training” and submit to core. External customers must provide a PO number covering the course fee in advance to attending the training and email is to Susanne.Heck@gstt.nhs.uk. Each course day can accommodate up to six trainees. We will get in touch to confirm your training slot.